Apart from sports and culture, Manipur is globally well-known for its handicrafts, an important highly labour-intensive cottage based and decentralized traditional Industry. 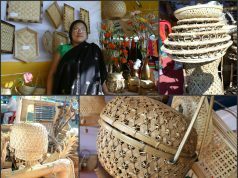 It has its own unique identity amongst the various crafts of the country. 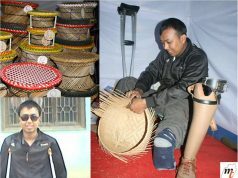 Handicraft industry can generate self employment to the rural artisans. Many hundreds of local artisans in the state are eking out a living with adopting various handicrafts like artistic textile, woollen shoes, Kouna craft, cane and bamboo, sculpture works etc. 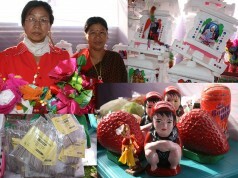 Among these crafts, doll making craft has become a thriving and lucrative business for many artisans. Thirty four years old Sorokhaibam Sushilla, daughter of Sorokhaibam Ibohal from Kakwa Nameirakpam Leikai has been in the doll making business for the past 10 years. With some financial support from her father, she purchased materials like cotton, threads and needles, straw, colour sheets, ribbons, beads and other decorating items to start her doll making venture. Sushilla is the second daughter among four siblings in the family. 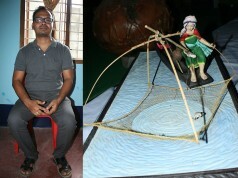 She learnt the skill of doll making from her father Sorokhaibam Ibohal, a sculpture and retired government teacher. Her interest in doll started from a tender age when she used to keenly watch her father making various designs of sculptures at home after returning from school duty. It highly impressed the young girl that she began doll making with the knowledge she inherited from her father. She makes dolls which showcase Manipuri culture and tradition such as Khamba-Thoibi, Sandrembi-Chaishra, Radha-Krishna, Mother carrying her baby on back, Bor-Keina, Ras-Lila, Ningol Chakouba, Goddess Laxmi, Durga, Fishing, women selling vegetable and different ethnic groups. Her products are unique and that is the reason why it is in high demand. She keeps incorporating new innovative ideas in creating these dolls. Life size doll of Irom Thambal, wife of Irom Chaoba who was forcibly married to a Manipur king Pamheiba is one of her impressive art of work. She makes dolls of varied size ranging from small sizes to life sizes. Bamboo, sponges, threads and different clothes are the raw materials required for making dolls. Presently, she has set up her own doll making firm under the banner Evergreen Goodness Doll & Toy Making Industry. By asserting her determination and devotion in her profession, she claimed that she has been able to provide employment to around 10 people of her locality at her work place at Kakwa Nameirakpam Leikai on monthly salary basis. “One can earn livelihood comfortably by promoting one’s own cultures and traditions” she said. She said that dolls of small sizes are sold at Rs 500 and above while the life sized ones are sold at Rs 8000 to 15000 according to the designs, labour and time incurred while making it. By doing so, her farm can earn over 2 lakhs from selling dolls inside and outside the state. 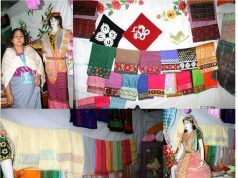 By exploring the demands of Meitei traditional dolls, Sushilla said that the dolls made by her farm have now reached to the markets of other States like Rajasthan, Kolkata, Silchar, Shillong and West Bengal. The demand of such dolls is increasing in countries like Nepal, Myanmar and France etc, she added. Sushilla said that initially her doll business could not flourish properly as it could not attract the costumers due to lack of popularity. 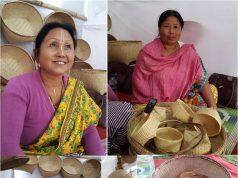 When she showcased her products in different crafts exhibitions, people started knowing her works. Nowadays many customers visit to her residence to buy traditional dolls as gift items or toy for the children enabling her to earn about Rs 15000-20000 a month. As her next venture, Sushilla said she and her team are pondering over to make new dolls adorned with new creative motifs. Showing her credibility in the field of doll making, Directorate of Commerce and Industries, Government of Manipur recently honoured the lady doll maker with state award 2015 carrying a cash prize of Rs 40,000 plus citation and shawl. Earlier, Sushilla could win an award for best quality product by Integrated Congress Women for entrepreneur in 2010. PAFINLA foundation also conferred her with an award in recognition of her works in doll making. 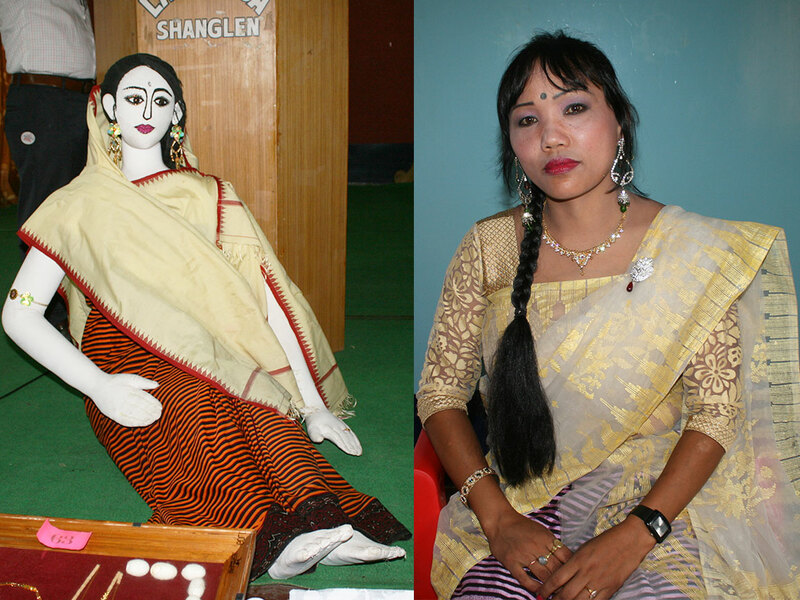 Impressed by the artistic crafts of Sushilla, once, director of North East Zone Cultural Centre (NEZCC) Om Prakash purchased a life size doll of “Ima Leimarel Shidabi” (Meetei goddess) including other dolls with varied motifs. She also received appreciation from Chief Minister Meghalaya Mukul Sangma when she displayed her artistic works in an exhibition held in Shillong years back. “Life is work. Educated youths should not waste time and wait for only government job. Instead, we should look out for other ways and means which can help us earn through self employment. My farm always opens its door for those aspirants to make a living with doll making. We will impart them training. 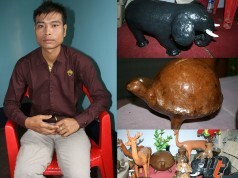 I am planning to expand my business so as to provide employment to many others. I want to help others by providing jobs. My farm is open to all those who wish to work genuinely” she said. Dolls, locally known as Laiphadibi in Manipuri dialect is a favourite item for children to play with. Meitei community generally believes that ‘Laiphadibi’ (doll) in Manipur has mystic power and brings prosperity in the family. 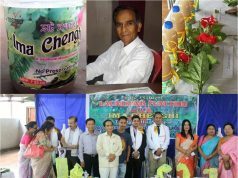 When a man dies on a Thursday or on Nongma Panba of Meitei Lunar month, Laiphadibis are sacrificed to God with a prayer not to bring any evil consequence in the family known as LaiAmangba Khurumba. Laiphadibis are not left outside of the house after day long playing with the children. It is believed that Laiphadibis cry whole night when they are left outside while children get sound sleep inside the house. According to beliefs, angry Laiphadibi curse her friend for leaving her outside. Children suffer ill when they are cursed by her friend doll. When the little girls stop playing with a Laiphadibi when they grow up, she is not thrown away at random. Instead, it is properly buried underneath a grove of Banana trees, she said.